The Hotkey support requires at least the standart license. A professional license is needed in order to use hotkeys on the logon screen. For more detailed information, please refer to the IDERI note online manual. 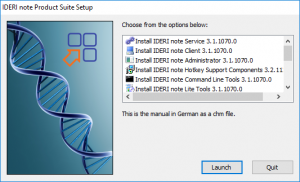 It can be accessed by searching for „IDERI note hotkey support“ in the control panel. 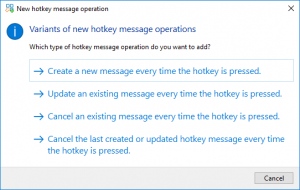 With this it is possible to create hotkeys for creating new, updating/canceling existing messages or the last message created. The desired key can then be exported and later on imported on multiple PCs. A hotkey can only be executed if the IDERI note hotkey support settings are closed. If a hotkey is used on the lock- or logon screen the message will always be sent with the computer account. Therefore the appropriate computer account needs message creation privileges in IDERI note! 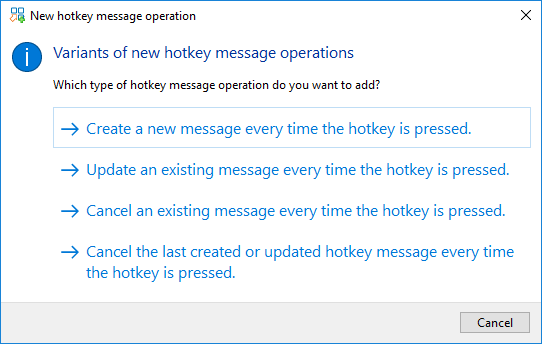 This also applies for messages that are set to “Always send with computer account” in the IDERI note Hotkey Support. IDERI note hotkey support can not be used in licence mode lite. A single hotkey can execute multiple operations. This entry was posted in IDERI blog en, IDERI note en and tagged 3.2, button, buzzer, combination, hotkey support, ideri note, key, release, shortcut by Max Renner. Bookmark the permalink.